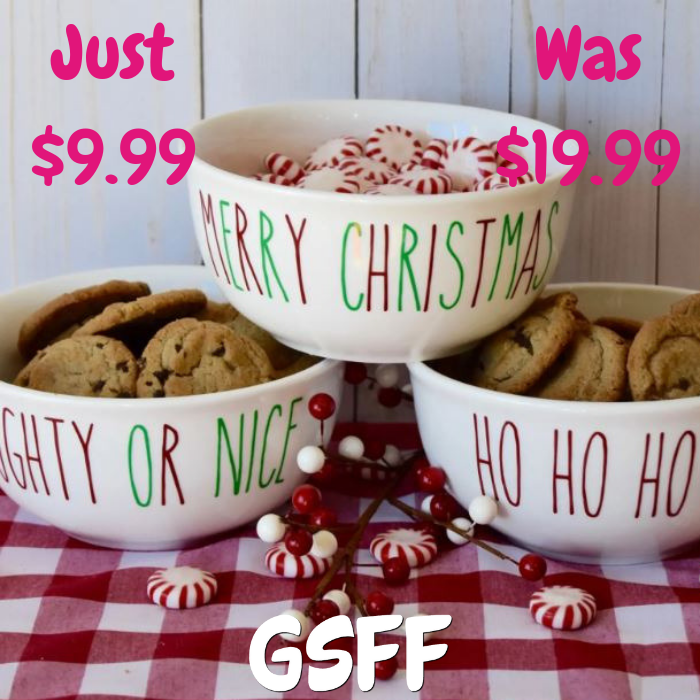 Farmhouse Christmas Candy Dishes Just $9.99! Down From $20! You are here: Home / Great Deals / Christmas Deals / Farmhouse Christmas Candy Dishes Just $9.99! Down From $20! Until November 22 only! Jane has this Farmhouse Christmas Candy Dishes on sale for only $9.99 down from $19.99! Shipping is $3.99 for the first item and free for each additional item. Farmhouse inspired ceramic treat dishes are perfect to add that special touch. Add some cookies or candy and use to gift to friends and neighbors. A teacher or coworkers would love to have this dish on their desk for the season. The bowls measure 6 inches in diameter and the decal is dishwasher safe but it is suggested that it is hand washed.